Rooms, services The guests of Meridian Thermal Hotel Harkány may stay in 10 nicely furnished, comfortable rooms in Harkány. The hotel ensures a pleasant stay for you and your family by offering chield-friendly services. You may taste delicious, fresh meals in the restaurant of the hotel every day. The hotel has an own parking lot, enabling you to park your car on the spot for free. Refreshing wellness services will be available on the spot, for the details please check the information sheet. There's no need to worry about the summer heat here, in some of the rooms air-conditioning is available (please make sure on the information sheet of the selected room). If you have a suitable portable device, you can connect to the Internet via a wireless network (WiFi) available at the hotel. 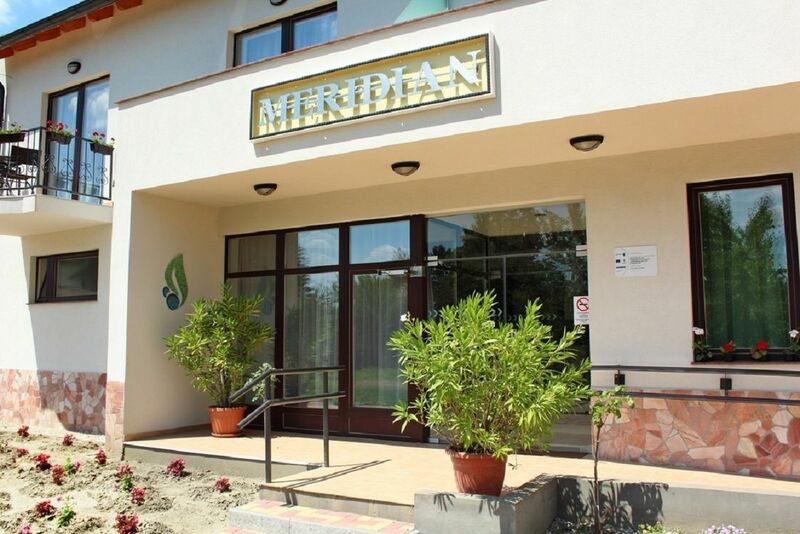 The exact list of services available at Meridian Thermal Hotel Harkány (including those for an extra fee) and the exact list of equipment in a room can be found on the information sheet below and on the information sheet of the respective rooms. Location The hotel is located Zsigmondy Promenade 400 meters, Heart of Jesus Church 100 meters, Harkány Spa 1000 meters. Catering You will be served delicious and rich breakfast every morning, which is already included in the displayed booking prices. In case you prefer another type of catering, you can also request half board to the reservation. Payment You may pay your reservation by the following payment methods: cash, bank transfer, debit/credit card, széchenyi recreation card. Arrival, opening hours The earliest arrival time is 14:00, the latest time to leave the rooms is 11:00. The personnel is at your service in Hungarian, English and German languages. 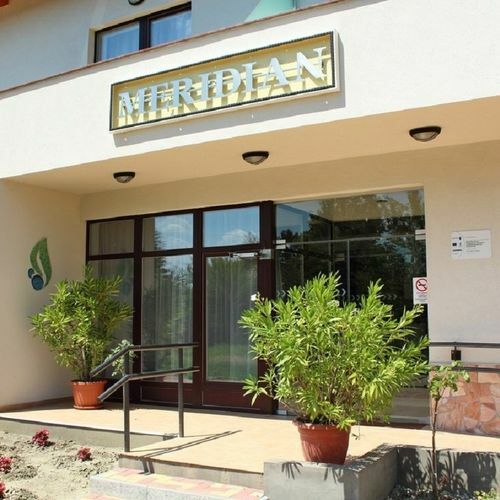 The rating of Meridian Thermal Hotel Harkány is 9.6 from the maximum 10, 70 based on actual and valid guest ratings and reviews. "A személyzet, a kiszolgálás, a szállás mind mind pozitív, csillagos ötös!!!!" "Barátságos személyzet, kitűnő szolgáltatások, csodás gyógyvíz, kellemes szoba, kényelmes ágy"
"Közvetlen, barátságos, és segítőkész személyzet, csendes, nyugodt környezetben." Based on the reviews and comments of actual guests, the services of the Meridian Thermal Hotel Harkány have received a high rating of 9.4/10.